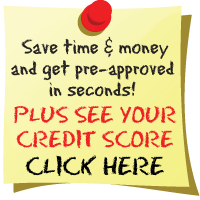 Get Pre-Approved & See Your Credit Score! FACTS WHAT DOES CLUTTS AUTO SALES, INC. DO WITH YOUR PERSONAL INFORMATION? Why? Financial companies choose how they share your personal information. Federal law gives consumers the right to limit some but not all sharing. Federal law also requires us to tell you how we collect, share, and protect your personal information. Please read this notice carefully to understand what we do. How? All financial companies need to share customers's personal information to run their everyday business. In the section below, we list the reasons financial companies can share their customers's information; the reasons Clutts Auto Sales, Inc. chooses to share; and whether you can limit this sharing. Reasons we can share your personal information Does Clutts Auto Sales, Inc. share? Can you limit this sharing? Such as to process your transactions, maintain your account(s), respond to court orders and legal investigations, or report to credit bureaus. Does Clutts Auto Sales, Inc. share? If you are a new customer, we can begin sharing your information 30 days from the date we sent this notice. When you are no longer our customer, we continue to share your information as described in this notice. However, you can contact us any time to limit our sharing. [ ] Do not share information about my creditworthiness with your affiliates for their everyday business purposes. [ ] Do not allow your affiliates to use my personal information to market to me. [ ] Do not share my personal information with nonaffiliates to market their products and services to me. Who is providing this notice? Clutts Auto Sales, Inc.
How does Clutts Auto Sales, Inc. protect my personal information? To protect your personal information from unauthorized access and use, we use security measures that comply with federal law. These measures include computer safeguards and secured files and buildings. How does Clutts Auto Sales, Inc. collect my personal information? We also collect your personal information from other sources such as credit bureaus, affiliates, or other companies.